EghtesadOnline: Palestinian President Mahmoud Abbas, 82, underwent a checkup at a West Bank hospital on Saturday and his doctors said the results were good. 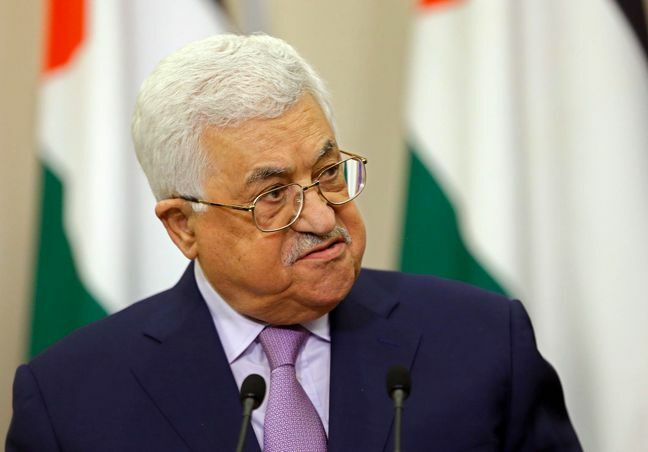 Abbas underwent routine checks, including blood tests and X-rays at the private Al Istishari Hospital near the West Bank town of Ramallah, and left after 90 minutes, said the hospital director, Dr. Fathi Abu Mughli. "The results are good," Abu Mughli told The Associated Press, but did not elaborate. Abbas was flanked by aides and smiling when he left the hospital, Bloomberg reported. Abbas has suffered heart problems in the past, but his doctors have said he is fine. A year ago, Abbas underwent an emergency heart procedure after suffering exhaustion and chest pains. He went through a number of tests, including a cardiac catheterization, a procedure that can detect and treat heart problems, but was given a clean bill of health. Last month, Abbas dispelled rumors he had suffered a stroke. Any health scare for Abbas heightens concerns over the uncertain leadership situation in the Palestinian territories — which are divided between two rival governments and where there is no succession plan for the aging leader. Abbas, who has no plans to step down, has ignored calls to appoint a successor, setting the stage for a bitter power struggle if he is incapacitated. Abbas was elected president in 2005 for what was supposed to be a four-year term. But in 2007 the rival Hamas militant group forcefully seized control of the Gaza Strip after their victory in parliamentary elections a year earlier. Abbas remained in power, left in charge of autonomous enclaves in the Israeli-occupied West Bank. Abbas, who is a heavy smoker and overweight, was treated years ago with prostate cancer and has had a stent inserted to treat artery blockage.